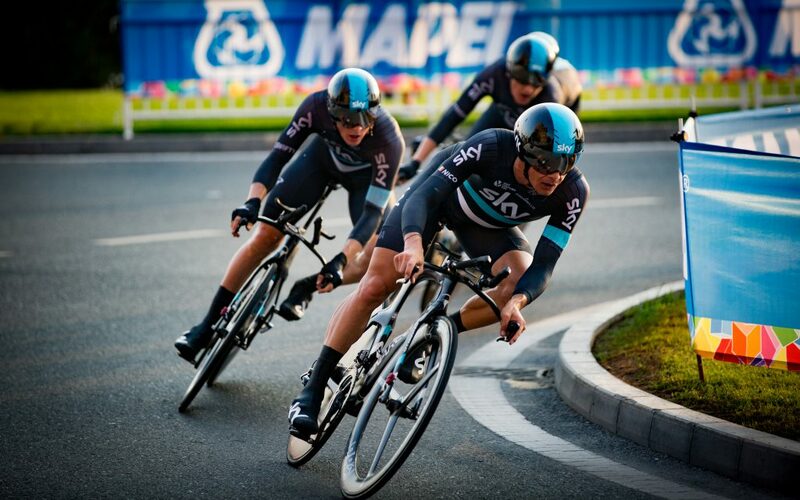 Will cycling fans accept Ineos’ sponsorship of Team Sky? Some years ago, Premier League football club Newcastle United caused outrage in some quarters for negotiating a £20m-plus sponsorship deal with a firm called Wonga – a high-interest ‘payday’ loan company. Local politicians boycotted matches, the club’s Muslim players threatened not to wear the club kit (Sharia law forbids giving or receiving interest) and the partnership was, generally, derided by rival supporters. Halfway through the four-year deal, a study conducted by a British PR company suggested the tie-up was the Premier League’s “worst brand activation” in terms of engagement. Perhaps Newcastle’s location – at the centre of one of the UK’s most economically deprived regions in which many people may have had to rely on easy-to-access, but potentially dangerous, payday loans – made the partnership intolerable for some. However, during that period the club had little trouble selling season tickets – around 33,000 were sold (out of an overall capacity of 51,000) even when the club was relegated to The Championship – while there was no news of shirt sales taking a drastic dip even with the Wonga logo embossed on the front of each adult jersey. And when the club replaced its lead sponsor with a Chinese betting platform in 2017, the level of objection was so minimal that it wasn’t even publicised, even though more than two million people in the UK are classed as ‘problem gamblers’, or at risk of becoming one. It raises the question: do sports fans really care who sponsors their club, team or sport? Do they care if the sponsor in question has been labelled unethical or unsustainable? And is it an issue if the perceived values of that company – and those of the sport, club or team – don’t appear to align? Cycling as a sport and pastime represents one of the planet’s great hopes in terms of shifting the human race towards lower or zero-carbon methods of transport. Indeed, the seismic climate change report published by IPCC last year claimed that cycling could have a huge hand in saving a planet that is hurtling towards disaster if we don’t do enough to collectively decarbonise over the next decade. So when British petrochemical giant Ineos was revealed as the principal sponsor of Team Sky last week, the news may have perplexed many fans of the team and sport. There’s no doubt that Ineos will be able to invest a significant amount of money in the team. After all it is, in sales terms, the UK’s largest privately-owned company. The company has already agreed to fulfil the commitments made by Sky in terms of investment. And its plush resources, working in tandem with the nous of Sir Dave Brailsford and a vastly talented stable of riders, will provide hope that the team’s incredible record of six Tour de France titles in seven years will be the norm for many years to come. But there’s a reputational risk for the team – a team already under the microscope, that has regularly faced – and vehemently denied – allegations of doping over the past few years. Ineos is one of the largest producers of plastic in the world. It has consistently pushed for the use of a controversial gas extraction technique called fracking in the UK. And its founder Sir Jim Ratcliffe – a prominent supporter of Brexit – has criticised the trading bloc for its “green taxes” designed to reduce carbon emissions. It’s fair to say that the company has long incurred the ire of environmentalists. The question is, will the organisation experience a reputational uplift after taking control of one of Britain’s most successful sporting institutions? To some extent, a lot will depend on sporting success and how the two entities conduct themselves away from the field of play. Last year, Team Sky pledged to eradicate single-use plastic from its packaging by 2020. When this publication asked if that commitment would remain in place following Ineos’ takeover, a spokesman said the team would be “revisiting the pledge” without giving any firm commitments. Honouring Team Sky’s assurance in this department – as well as player and management contracts already secured – would be welcome news. If petrol giant Total’s mooted sponsorship of the Direct Energie team follows quickly afterwards, as expected, we will find ourselves at an interesting juncture. Many involved in sport, particularly from a sustainability, CSR, or public relations point of view, talk about the need for sport and sports teams to align with the values of fans and fans of the future by putting sustainability and societal issue at the heart of their priorities. It will be interesting to see whether fans of Team Sky (or Team Ineos from 1 May) will react to the sponsorship. Will they perceive a misalignment of values between cycling and a petrochemical company, or will they see an opportunity for continued success? If the former, will they vote with their feet? Or continue to cheer on success, allowing time for the initial discomfort to subside? And let’s not forget the emerging generation of sports fans. Nine out of 10 Millennials would switch to another brand if they felt it wasn’t aiding a cause they care about, while millions belonging to Generation Z are regularly boycotting school in a bid to accelerate climate action and pressure governments and businesses to move towards a low-carbon economy. However, there’s no hard evidence to demonstrate this depth of feeling for societal issues is translating to sporting preference – or if it will in the future. For Ineos, the strategy seems fairly simple: align with some of the most successful British sports brands (preferably associated with recognisable, successful British athletes) to give the company a winning, patriotic halo. Indeed, if you look at the two sports Ineos has invested in in Britain – cycling and sailing (last year the company became principal sponsor of Sir Ben Ainslie’s sailing team and ploughed in a £110m investment) – there is a significant connection to the natural environment. From a sponsor point of view, reputational risk looks minimal. But for Team Sky and Ainslie – who had been lauded as a sustainability champion in the past – victory, or even sustained success, may not be enough to keep some fans onside. Has the team done the right thing by partnering with Ineos? Let us know in the comments below. I am a keen cyclist and fan, and I have unsubscribed from the Team Sky newsfeed and will not continue to support them under the INEOS brand. It is not compatible with my passion for pedal power and hopes for this planet’s future. I just hope some of my favourite riders will put principles before money and switch teams, but when it’s your livelihood and future career at stake it’s an invidious position to find yourself in.